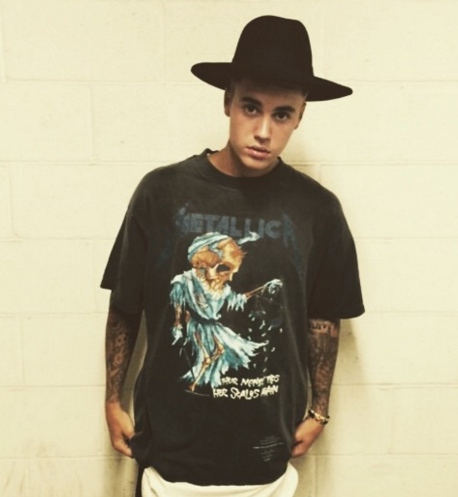 MetalRockNews: Justin Bieber: "My next album will be 'more metal'"
Justin Bieber: "My next album will be 'more metal'"
Justin Bieber was recently interviewed by the Beatle magazine and revealed that his next album will be 'more Metal'. He said: "Lately I've spent a lot of time with Marilyn Manson and he convinced me to record a metal album. I love heavy metal, i listen to Metallica, Iron Maiden, Slipknot and more, so the album will be inspired so much by them. I think I'll write a few songs with Marilyn Manson and he'll be a special guest on a track or two of the album. I can't wait to record this album." He also revealed that the album will be released later this year.